Author: Jorge Batista , Hélder Pereira . Instituto Superior da Maia, Porto, Portugal. Centro Artroscopico Jorge Batista SA- Club Atlético Boca Juniors, Argentina. Ankles instabilities are most commonly seen in young individuals who are involved ins ports activites. For most mild and moderate instablities, a varierty of arthroscopic techniques are available. These techniques yield accpetable results in these cases but in cases with severe instablity, the results are not optimal. At times these severe instablities may land up with ankle or subtalar arthritis. Alignment osteotomies play an important role in these cases and present review focusses on presenting the details of the realignment osteotimies. 1. Bosien WR, Staples OS, Russell SW. Residual disability following acute ankle sprains. J Bone Joint Surg Am 1955; 37-A(6): 1237-43. 2. Freeman MA. Instability of the foot after injuries to the lateral ligament of the ankle. J Bone Joint Surg Br 1965; 47(4): 669-77. 4. Ekstrand J, Tropp H. The incidence of ankle sprains in soccer. Foot Ankle 1990; 11(1): 41-4. 5. Hawkins RB. Arthroscopic stapling repair for chronic lateral instability. Clin Podiatr Med Surg. 1987; 4:875-83. 6. Watson-Jones R. Recurrent forward dislocation of the ankle joint. J Bone Joint Surg. 1952; 34B: 519 – 22. 7. Evans DL. Recurrent Instability of the ankle. A method of surgical treatment. Proc R Soc Med. 1953; 46(5):343–344. 8. Snook GA, Chrisman OD, Wilson TC. Long-term results of the Chrisman-Snook operation for reconstruction of the lateral ligaments of the ankle. J Bone Joint Surg Am. 1985; 67(1):1-7. 9. Broström L (1966) Sprained ankles. V. Treatment and prognosis in recent ligament ruptures. Acta Chir Scand 132:537–550. 14. Vega J, Golano P, Pellegrino A, Rabat E, Pena F (2013) All-inside arthroscopic lateral collateral ligament repair for ankle instability with a knotless suture anchor technique. Foot Ankle Int 34:1701–1709. 16. Takao M, Glazebrook M, Stone J et al (2015) Ankle arthroscopic reconstruction of lateral ligaments (Ankle Anti-ROLL). ArthroscTech 4:595–600. 17. Matsui Kentaro, Burgesson Bernard, Takao Masato, Stone James et al. ESSKA AFAS Ankle Instability Group. Minimally invasive surgical treatment for chronic ankle instability: a systematic review. Knee Surg Sports Traumatol Arthrosc (2016) 24:1040–1048 DOI 10.1007/s00167-016-4041-1. 18. Michels Frederick, Pereira H., Calder J., Matricali G., et al. The ESSKA-AFAS Ankle Instability Group. Searching for consensus in the approach to patients with chronic lateral ankle instability: ask the expert. Knee Surg Sports Traumatol Arthrosc 2017. DOI 10.1007/s00167-017-4556-0. 19. Nery C, Raduan F, Buono AD, Asaumi ID et al. (2011) Arthroscopic-assisted Broström–Gould for chronic ankle instability: a long-term follow-up. Am J Sports Med. 39:2381–2388. 20. Guillo S, Archbold P, Perera A, Bauer T, Sonnery-Cottet B (2014) Arthroscopic anatomic reconstruction of the lateral ligaments of the ankle with gracilis autograft. Arthroscopy Tech 3:e593–e598. 21. Takao Masato, Matsui Kentaro, Stone James W., Glazebrook Mark A., et al., Ankle Instability Group Arthroscopic anterior talofibular ligament repair for lateral instability of the ankle. Knee Surg Sports Traumatol Arthrosc (2016) 24:1003–1006. DOI 10.1007/s00167-015-3638-0. 22. Michels F, Cordier G, Burssens A et al (2016) Endoscopic reconstruction of CFL and the ATFL with a gracilis graft: a cadaveric study. Knee Surg Sports Traumatol Arthrosc 24:1007–1014. 28. Matsui K, Takao M, Miyamoto W, Innami K, Matsushita T (2014) Arthroscopic Broström repair with Gould argumentation via an accessory anterolateral port for lateral instability of the ankle. Arch Orthop Trauma Surg 134:1461–1467. 31. Behrens SB, Drakos M, Lee BJ, Paller D, Hoffman E, Koruprolu S, DiGiovanni CW (2013) Biomechanical analysis of Brostrom versus Brostrom–Gould lateral ankle instability repair. Foot Ankle Int 34:587–592. 32. Barber FA, Click J, Britt BT. Complications of ankle arthroscopy. Foot Ankle. 1990;10:263-266. 33. Ferkel RD, Heath DD, Guhl JF. Neurological complications of ankle arthroscopy. Arthroscopy. 1996;12:200-208. 34. De Leeuw PAJ, Golanó P, Sierevelt IN, et al. The course of the superficial peroneal nerve in relation to the ankle position: anatomical study with ankle arthroscopic implications. Knee Surg Sports Traumatol Arthrosc. 2010;18:612-617. 35. Zengerink M, van Dijk CN. Complications in ankle arthroscopy. Knee Surg Sports Traumatol Arthrosc 2012;20:1420–31. 36. 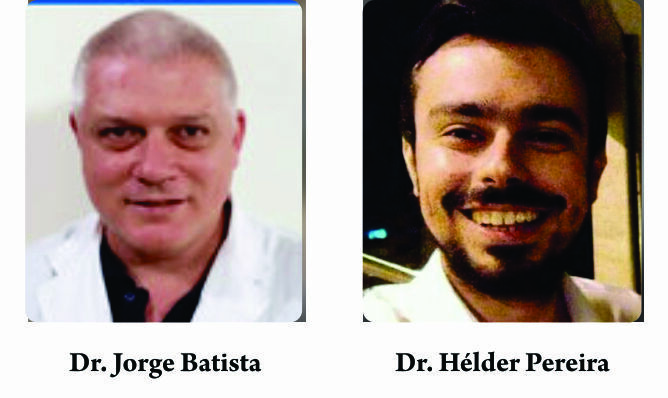 Batista Jorge Pablo, Del Vecchio Jorge Javier, Patthauer Luciano and Ocampo Manuel, Arthroscopic Lateral Ligament Repair Through Two Portals in Chronic Ankle Instability. The Open Orthopaedics Journal, 2017, 11, 3-00. 38. Tanaka Y (2012) The concept of ankle joint preserving surgery: why does supramalleolar osteotomy work and how to decide when to do an osteotomy or joint replacement. Foot Ankle Clin 17(4):545–553. doi:10.1016/j.fcl.2009.06.002. ; Valderrabano V, Hintermann B, Horisberger M, Fung TS (2006) Ligamentous posttraumatic ankle osteoarthritis. Am J Sports Med 34(4):612–620. 41. Takakura, Y; Takaoka, T; Tanaka, Y; Yajima, H; Tamai, S: Results of opening-wedge osteotomy for the treatment of a post-traumatic varus deformity of the ankle. J Bone Joint Surg Am. 80(2):213–8, 1998. 42. Takakura, Y; Tanaka, Y; Kumai, T; Tamai, S: Low tibial osteotomy for osteoarthritis of the ankle. Results of a new operation in 18 patients. J Bone Joint Surg Br. 77(1):50–4, 1995. 43. Hintermann B, Knupp M, Barg A. Supramalleolar Osteotomies for the Treatment of Ankle Arthritis. J Am Acad Orthop Surg 2016;24: 424-432. 44. Mendicino RW, Catanzariti AR, Reeves CL. Posterior calcaneal displacement osteotomy: a new percutaneous technique. J Foot Ankle Surg 43:332–335, 2004. 45. Dwyer FC. Osteotomy of the calcaneum for pes cavus. J Bone Joint Surg Br 1959; 41:80–6. 47. Hintermann B, Knupp M, Barg A. Osteotomies of the distal tibia and hindfoot for ankle realignment. Orthopade. 2008;37:212–13. 48. Barg A, Hörterer H, Jacxsens M, Wiewiorski M, Paul J, Valderrabano V.Oper Orthop. Dwyer osteotomy : Lateral sliding osteotomy of calcaneus. [Article in German] Traumatol. 2015 Aug;27(4):283-97. doi: 10.1007/s00064-015-0409-5. Epub 2015 Jul 22. 49. Lui TH. Percutaneous Posterior Calcaneal Osteotomy. J Foot Ankle Surg. 2015 Nov-Dec;54(6):1188-92. doi: 10.1053/j.jfas.2015.04.027. Epub 2015 Jul 16. 50. Harrington, KD: Degenerative arthritis of the ankle secondary to long-standing lateral ligament instability. J Bone Joint Surg. 61A:354-361, 1979. 51. Rieck, B; Reiser, M; Bernet, P: Posttraumatic arthrosis of the upper ankle joint in chronic insufficiency of the fibular ligament. Orthopade., 6:466-471, 1986. 52. Buckwalter, JA; Saltzman, CL: Ankle osteoarthritis: distinctive characteristics. AAOS Instructional Course Lectures. 48:233-242,1999. 53. Steffensmeier, SJ; Saltzman, CL; Berbaum, KS; Brown, TD: Effects of medial and lateral displacement calcaneal osteotomies on tibiotalar joint contact stresses. J Orthop Res., 14:980-85. 1996. 54. Resnick, RB; Jahss, MH; Choueka, J; Kummer, F; et al. Deltoid ligament forces after tibialis posterior tendon rupture: effects of triple arthrodesis and calcaneal displacement osteotomies. Foot Ankle Int., 16:14-20, 1995. 55. Morscher E, Hefti F, Baumann JU. Combined lateral ligament-plasty and calcaneus osteotomy in recurrent foot dislocation. [Article in German] Orthopade. 1986 Nov;15(6):461-5. 56. Knupp M, Barg A, Bolliger L, et al. Reconstructive surgery for overcorrected club- foot in adults. J Bone Joint Surg Am 2012; 94:e1101–7. 57. Mangone PG. Distal tibial osteotomies for the treatment of foot and ankle disor- ders. Foot Ankle Clin 2001;6(3):583–97. 58. Egol KA, Kubiak EN, Fulkerson FJ, et al. Biomechanics of locked plates and screws. J Orthop Trauma 2004;18(8):488–93. 60. Tanaka Y, Takakura Y, Fujii T, Kumai T, Sugimoto K (1999) Hindfoot alignment of hallux valgus evaluated by a weightbearing subtalar x-ray view. Foot Ankle Int 20(10):640–645. 61. Saltzman CL, el-Khoury GY: The hindfoot alignment view. Foot Ankle Int 1995;16(9): 572-576. 62. Reilingh Mikel L., Beimers Lijkele, Tuijthof Gabriëlle J. M., Stufkens Sjoerd A. et al. Measuring hindfoot alignment radiographically: the long axial view is more reliable than the hindfoot alignment view. Skeletal Radiol (2010) 39:1103–1108 DOI 10.1007/s00256-009-0857-9. 63. van Dijk CN, Scholte D. Arthroscopy of the ankle joint. Arthroscopy 1997;13:90–6. 64. van Dijk CN, Van Bergen CJ. Advancements in ankle arthroscopy. J Am Acad Orthop Surg 2008;16:635–46. 66. Haugsdal J, Dawson J, Phisitkul P. Nerve injury and pain after operative repair of calcaneal fractures: a literature review. Iowa Orthop J. 2013;33:202–7. 67. Kraus JC, Fischer MT, McCormick JJ, et al. Geometry of the lateral sliding, closing wedge calcaneal osteotomy: review of the two methods and technical tip to minimize shortening. Foot Ankle Int. 2014;35(3):238–42. Recent review of technique for performing a valgus-producing (closing wedge or lateral sliding) calcaneal osteotomy. 68. Den Hartog BD, DiGiovanni CW, VanValkenburg SM, et al. Nerve Injury associated with lateral calcaneal osteotomy, in American orthopaedic foot and ankle specialty day, American academy of orthopaedic surgeons annual meeting. New Orleans, LA; 2014. 69. Koman LA, Mooney 3rd JF, Goodman A. Management of valgus hindfoot deformity in pediatric cerebral palsy patients by medial displacement osteotomy. J Pediatr Orthop. 1993;13(2):180–3. 70. Maskill MP, Maskill JD, Pomeroy GC. Surgical management and treatment algorithm for the subtle cavovarus foot. Foot Ankle Int. 2010;31(12):1057–63. How to Cite this article: Batista J, Pereira H. Lower Extremity Alignment and Ankle Instability . Asian Journal Arthroscopy. May-Aug 2018;3(2):38-45 .